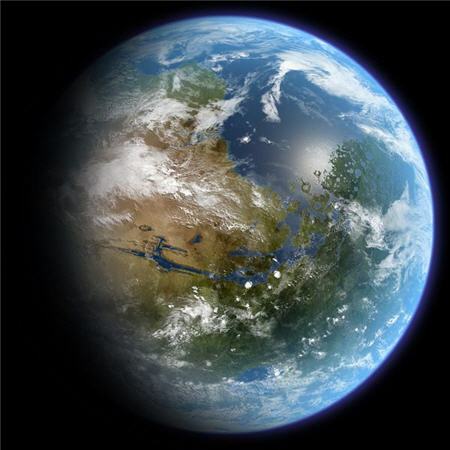 Alleba Blog » Is Terraforming Possible? 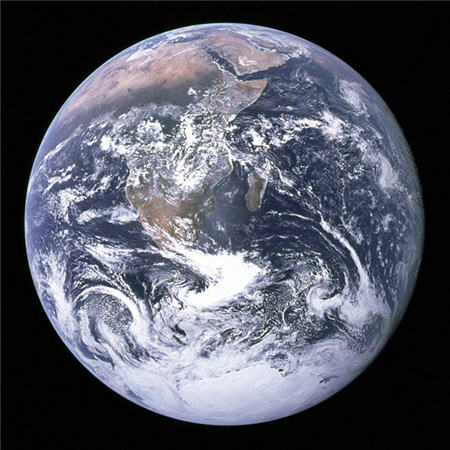 With approximately 6.7 billion humans inhabiting the Earth today and as I think of the global warming hoopla it’s apparent that dry space here on our planet is running thin. Land reclamation is an option but that can only go so far. At the rate that our seas are rising, more drastic steps must ensure the survival of our species. The recent advances in space exploration has kept my hopes up that perhaps terraforming can eventually solve that problem. 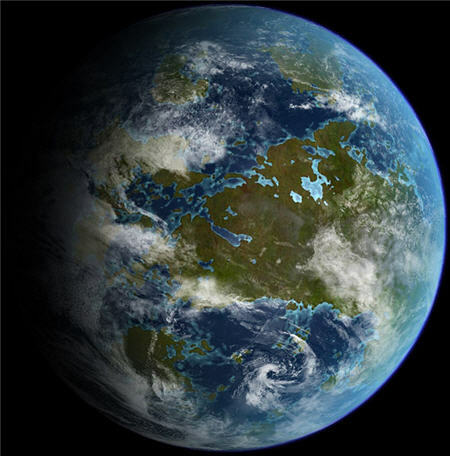 What is terraforming? Terraforming, in a nutshell, means turning planets, moons and other heavenly bodies with harsh environments into places similar to Earth where humans can live. It is, at best, a hypothetical concept yet to be proved feasible. Carl Sagan, the guy who wrote the book ‘Contact’ (the one made into a Jodie Foster movie), first came up with the crazy idea of seeding Venus’ atmosphere with algae to improve its atmosphere. Algae?! Sagan pointed out that Earth was in fact a planet similar to Venus — it was laced with carbon dioxide that not one UFO dared tread it (ok that’s another story right there). But thanks to algae and that scientific process called water evaporation, Earth’s atmosphere is now a wonderful mix of oxygen and nitrogen gas. Fascinating, eh? Now, all signs are pointing to Mars as the most viable target for terraforming. Surface exploration by land rovers reveal that Mars once had water and possibly harbored life, and later photos show that river channels are awash with water to this day. But Mars’ atmosphere, just like Venus, is made up of mostly carbon dioxide (95%) and only traces of oxygen and nitrogen. A two-fold approach to warming the planet involves shooting rockets containing CFC’s (yes, those dreaded chemicals that are ruining our planet) on to Mars’ polar caps followed by introducing algae and bacteria on the melted ice. A series of chemical reactions will result to a warmer climate, but it may take hundreds of years before it becomes suitable for human occupation. Apart from Venus and Mars, the moon Europa is also a candidate, but extreme radiation coming from Jupiter and its sheer distance from the Earth makes that practically impossible. Yeah, it’s all wishful thinking. But what I would do to be around when the first man lands on the planet Mars. That would be the single-most important step to making my terraforming dreams a reality. For all the mistakes we’ve made here on Earth, I believe we can all make up for in Mars. sweet research, i dont even have the patience to watch the news and you saw this? anyway, if they say it is feasible, then it MAY be possible. i’d be dead when that time comes. hmmm. hehhee. if worse comes to worst, i’d still stay on earth. it will take millions of years before they can convert at least 5% of the total CO2 volume in mars. hehehe. even earth is having problems maintaining the 21% oxygen volume. hehehe. And I thought I was the geeky one. It’s now Drew vs Winston. LOL! it’s a scary thought. Was this post inspired by Wall-E? 😛 hehehe. Moreover, I think Mars is okay but it has a lot of craters. Meaning, it is always hit by asteroids. Yikes!!! Human intellect now-a-days are so advance when it comes to science and technology. But the problem is we don’t value maximum utilization of our resources capacity for advancement of human civilization… the capitalist are controlling these potentialities because of their greed. In the future, when MORALISTS OF THE WORLD UNITE.. we will have maximum utilization of our potentialities… to find better a planet for human settlement. 🙂 HA HA HA cheer!!! interesting. haven’t checked your blog for some time & i’m glad i did. hmmm masarap parin tumira sa earth hehe. .and siguro abo na tayo bago pa man mangyaring mga bagay nato hehe. . Though terrforminh is an interesting dream (it will be a reality in several century probably), it’s too bad you are like a lot of others believing blindly that “our earth lacks enough space for humanity and thus the future of our species is at risk” … There’s plenty of space, just it often need to be adapted so that human can live there. The only overcrowded areas are the new megalopols. Outside, it’s rather ok.
First- Martian gravity wouldn’t hold a life sustaining atmosphere. All efforts to create one would be futile as it would just bleed away into space. But even if Mars could retain a life sustaining atmosphere – it has no magnetic field of any power to shield life from Solar radiation. Also- the low gravity (not even a third of Earth’s) would make human habitation very problematic – or at least not possible without constant medical applications (perhaps even nano technology to make human heavier on Mars). All talk of “Terraforming” Mars is just so much gobblygook at this point- more than likely sustained by NASA boondogglists looking for more money. Humans are far more likely to hollow out and live inside the moons of Mars (with centrifugal force providing the gravity and miles of rock the radiation shield) and commute to Mars to exploit it’s mineral resources. well, i think that it would be a good idea to do this plan. one sciencetist said that 2022 is the lucky year for human exploration to the planet mars. i can’t wait, it’s going to be one to remember. To trully exist on the moon, we need and atmosphere. The lunar atmosphere is no more then 210 feet, extremely low density and comprised of flowting ionize particles. All these particle do is go up and down in a stationary position. What the moon needs is a rotation on it self. That is clearly out of our reach and susidle to life on earth. Building a biodome, takes to much time and raze questions on the structual dangers. I sugest building nine articial satelites to orbit the moon. these satelites should be composed dence material that channels the energy of the sun and emit a drag on the ionic atmospere. The satelites will then be stringed together, like a a halo. this connection should be conductable so all satelites will always be working 24 7. being tied together make sure that the distant will always be constant and so will the orbit. once it put in place, they will rotate around the moon in orbit. They will will drag the particle and create the wind. the particle will be exposed to the sun, causing them to heat. After to the cold! the rotation will be ajusted to the point that the atmosphere can banlance out to -30 to +38 degree. The motion of particles will create a atmosperic layering and presure. Then five moon dust processures will be installed. With the scorching sun light at are disposal the heat will be dirrected and put together a to make the 900 to 1200 degree furnace heat to release the water, hydrogen, nitrogen and other compound trapped in the lunar dust. This could also be achieved by building other satelites that fire off a condence beam of solar energy. this would be more effective in covering the whole surfice. Also cheaper and faster to construct. Eventualy, that satelite will haft to be removed, after the seficient element are in place. The halo should be built to last for thousand of years and have a very simple design like a nine beeded necless. over time the gases will make a protective layer of plasma like the earth. Then there will be density of the gases that will compensate for the lack of magnetic gravity and make it seem more like earths gravity. but this all depends on getting the just the right amount of rotations in orbit. so my friend, thats how we start the teraforming process withought having to put a foot on the moon. It is cheap to build, compared to super structures, it is also long lasting, low maintenance and fessable in our time. So get out there and spread the idea! Man’s expansion into the galactic realm, it would seem, must be possible if the theory of pandeism is true, for that would be the very purpose built into our Universe!! We must transform ourselves and our world, and reach those worlds that surround other stars!! Terraform Venus: Impossible!! – – – Where it is. . . . Think of this; move Venus into an orbit closer to Earth’s orbit. How? Use Venus’s own atmosphere for fuel for emmense rockets, and once in better orbit, use rockets to impart suitable tilt on axis, then suitable spin on planet. The spin imparted will probably generate the needed planetary magnetic field. The planet will begin cooling due to reduced heat from the sun, which can be speeded up by putting shaders in space between it and the Sun. The atmosphere will begin changing to something more desirable. More hydrogen is needed, but isn’t in the atmosphere, and niether is water. A solution would be to redirect a number of ice asteroids to impact Venus, which would further cool the planet. Some way needs to be found to bind up excess carbon into something like coal, and break up carbon dioxide. Are we about ready for plants now? You take it from here…….CAUTION – don’t let venus get close enough to effect Earth’s orbit!! signed: noname; because I am paranoid.